The Ladybug (ladybirds to the British and Australians) is my second favorite garden dweller. Aside from their aesthetic quality I appreciate them for the work they do in the garden to keep the aphids and scale under control. This year I decided to avoid using chemicals in the garden to provide as hospitable home for beneficial insects. I spent two days stalking and photographing this ladybug in the garden watching it march up and down various plants looking for food. Unfortunately I picked it up on the third day to show it to my nephew and it flew off into the pear tree next door. Yesterday I noticed a new insect in my garden that I didn't recognize and was about to pull out the gardening gloves and start smashing them when something told me to hold back until I could photograph this bug and get an identification for it. When I was preparing this post on ladybugs I saw a photo of a ladybug in the larva stage and realize that I had come pretty close to squishing future ladybugs. It's a good thing I waited because I will have more ladybugs visiting the garden soon. Check out Wikipedia for more photos and information on ladybugs. We call our lady bugs - lucky bugs. Last year my DD collected about 50 at the end of the summer - poor things- they didn't like the sun tanning jar too well. I say keep them around cause they eat aphids and are LUCKY! 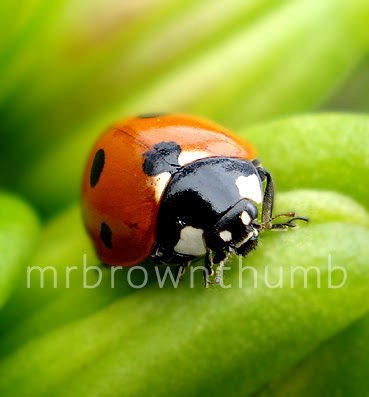 Cracking image and ladybirds are so usefull in controling aphids and they are cheap.. I've thought about buying a bag full of ladybugs to use in the backyard but it's too expensive, especially when half of them clearly are dead. Great Photo of that ladybug. These ladies have a overwhelming appetite for aphids and other such bugs. Always love your blog. Your photos are amazing. Great shot of the ladybug. 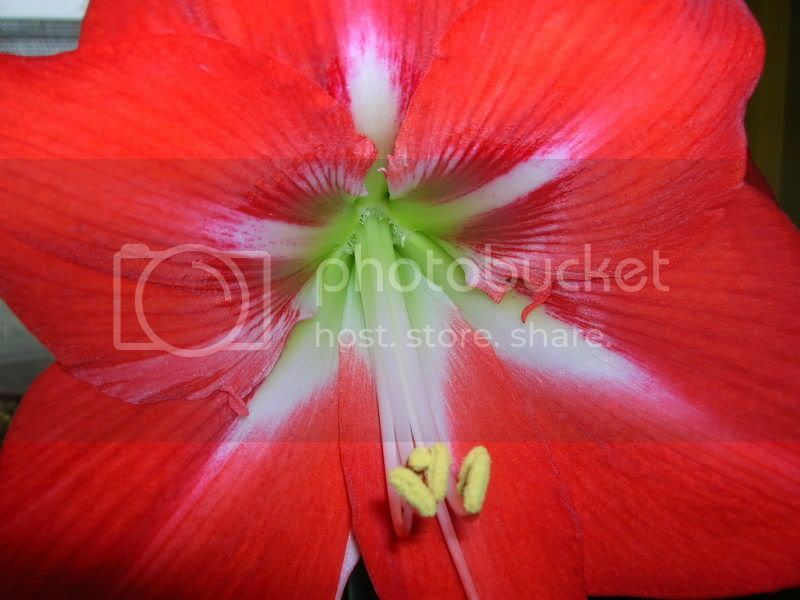 Hi all thanks for stopping by and I'm glad you all liked the pic. Debbie I bought my nephew one of those bug cages where you're suppose to be able to observe them but unfortunately he broke it before we caught any bugs to place inside of it. On a gardening forum I frequent people on the West Coast are always talking about being able to buy them in garden centers and I'm pretty envious of that. I wish I could find some in the city. Wow! That is probably the most perfect shot of a ladybug I have seen -- ever! Good going on the decision to stop using chemicals in the garden. May you have lots more beneficial ladybugs in your future! I'm a little late getting to this post, but I still had to say "Wow, that is a great picture!" It looks so glossy like it has been painted with gloss paint. And your hover fly photo from before is beautiful too. You are really good at the macro photography! Sorry for the late reply but I wanted to thank you for the encouragement. It has been hard to keep from using chemicals but I'm finding more time to deal with pests by hand. Sorry for the late reply but you can get the "glossy" look like I did by using your flash settings. I set the flash to go off even though I was photographing outdoors and it was bright enough to make sure the bug wasn't over exposed. It is a wonderful photo with great depth of field. What brilliant colors. thanks for stopping by. Glad you liked the pic. I love ladybugs and this is fabulous photo of one!